No Fooling! 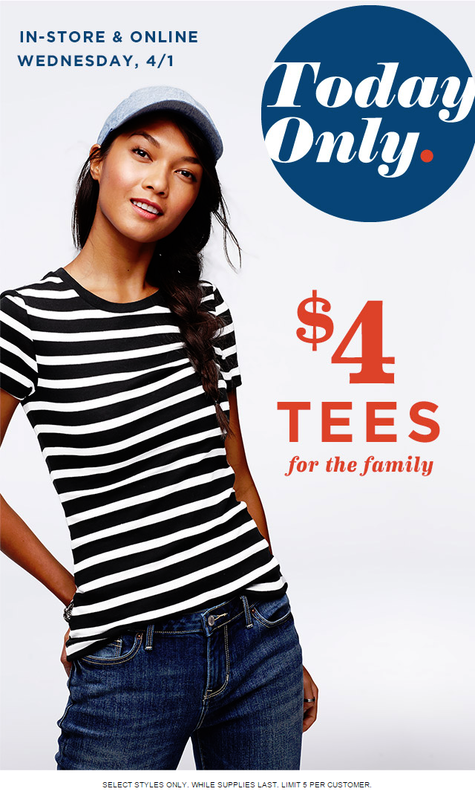 $4 Tees Today Only + Up to 50% OFF ENTIRE STORE Starts Now at Old Navy! Check out the sale Old Navy has going on today! Make sure you bring out the entire family! Limit 5 per customer.